Here’s a look at the drive from the Miami airport to South Beach on a busy Saturday night. It doesn’t look very busy until you get over to South Beach and get stuck in the traffic on Ocean Drive. 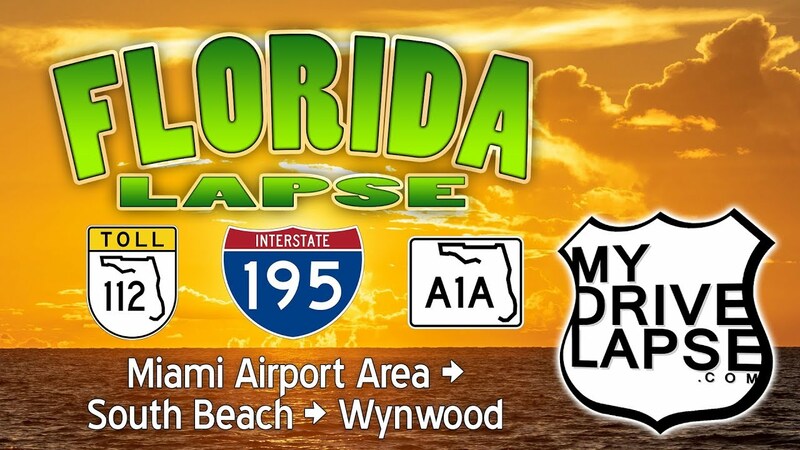 This video takes you from the Miami Airport to South Beach via Toll Road 112 and Interstate 195. The route crosses Interstate 95 and heads east, out to the beaches. After driving around South Beach for a few minutes, and getting stuck in several big traffic jams, I made my way back to the mainland and headed up to the trendy Wynwood arts district, where the famous Wynwood Walls display an ever-changing array of street art. I made this trip from Miami Airport to South Beach and Wynwood in September 2018.